Now that the warm weather wedding season is winding down, I thought it would be fun to highlight some of our favorite weddings from 2016. June is always the most exciting month for celebrations in the Hudson Valley, as everyone cheers the return of warmth, budding leaves, greenery and flowers. 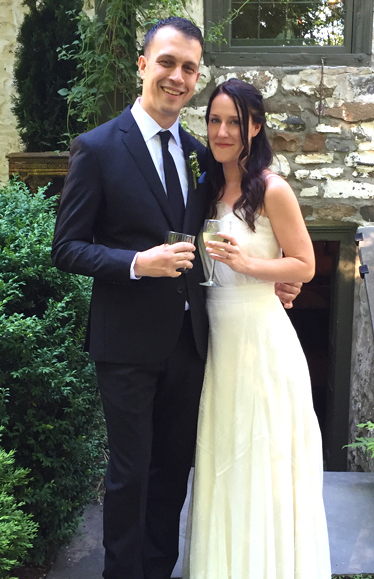 Marissa and Ethan chose one of our favorite venues, Shadowlawn in High Falls for their wedding. Thank goodness the weather cooperated as they tied the knot overlooking the dramatic falls. 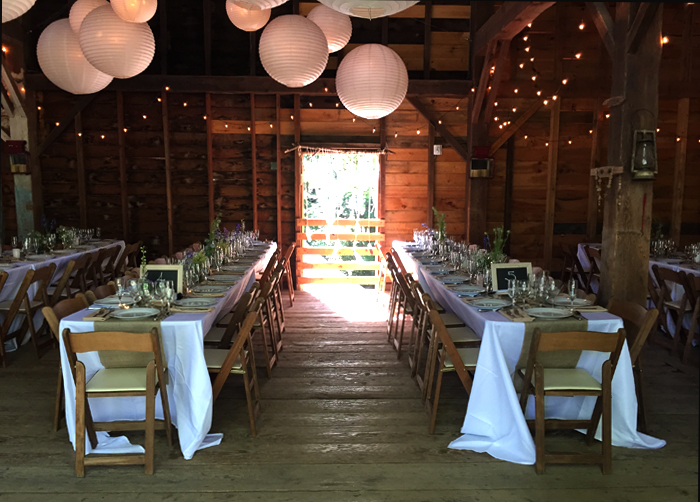 Their guests enjoyed an extended cocktail hour on the lawn feasting on assorted handmade cheeses from local makers, Maine lobster roll, and tuna tartare. 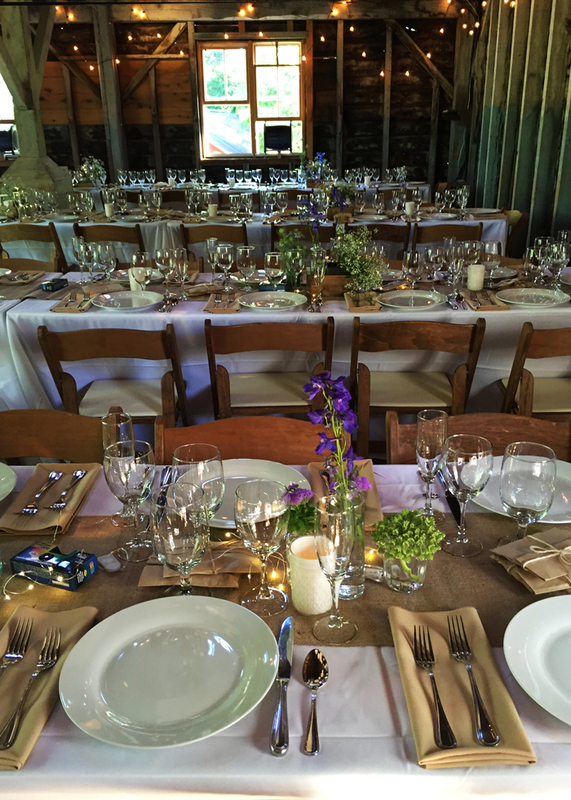 It's always fun setting up the tables in the beautifully restored barn across the road. The warmth of the room creates a feeling of magic, even before the guests arrive! 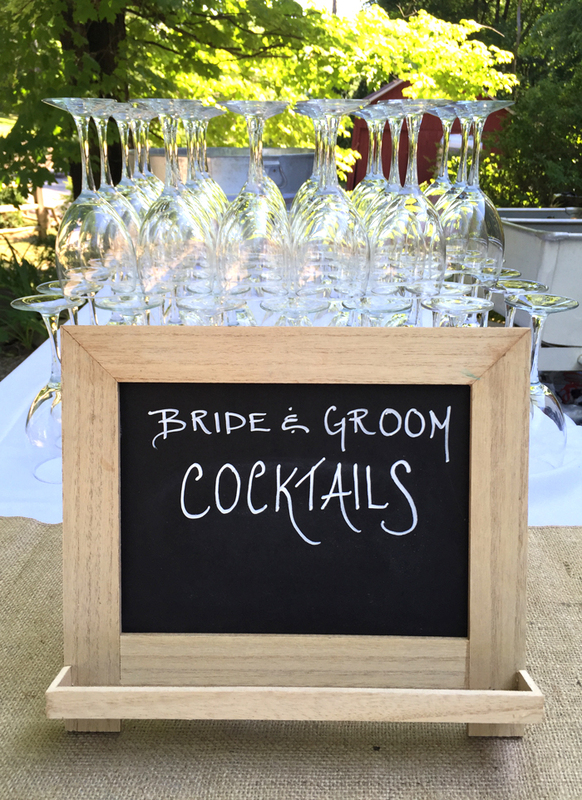 We set up a bar just outside the entrance to the barn with the bridal couple's favorite cocktails: a spicy tequilla lemonade which was very popular and a watermelon cucumber concoction! Great way to celebrate with the people you love. The guests feasted on Salmon Dijonnaise with an Asian Rice Pilaf and Chicken Citron with Roasted Sweet Potatoes. 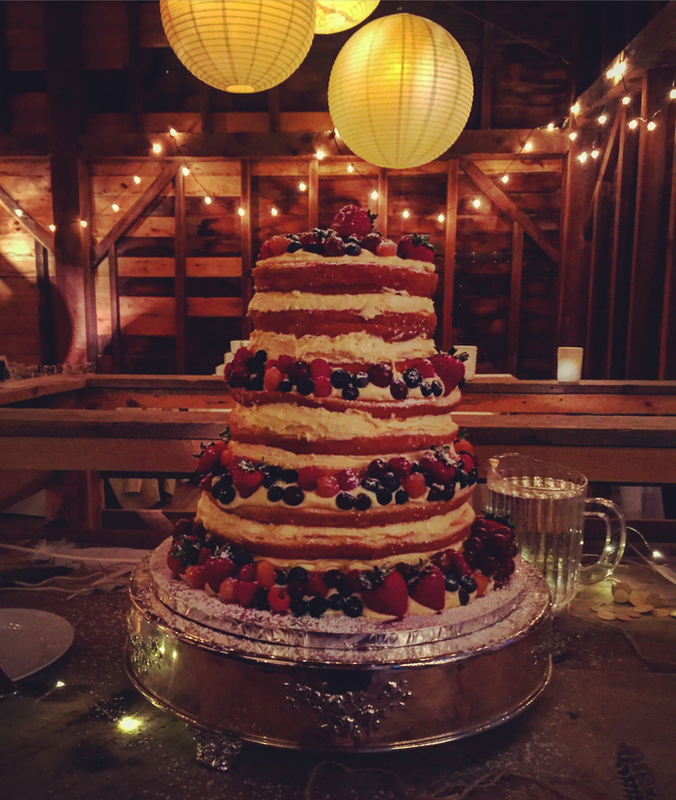 They loved the Naked Wedding Cake our bakers made with pastry cream filling and lots of fresh berries. And after dinner they pushed back all the tables to make room for lots of dancing and partied down till the bonfire out back beckoned. At which point, we cleaned everything up and headed home to bed! We wish Marissa and Ethan many many years of happiness together.